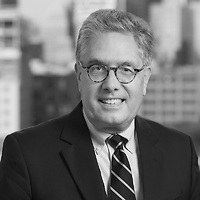 Tom Curry, a partner in Nutter’s Corporate and Transactions Department and co-leader of the firm’s Banking and Financial Services group, will speak on the OCC’s fintech charter and other recent developments in the fintech arena at the Massachusetts Bankers Association’s Fintech Conference. Consumers are rapidly adopting new technologies to help them manage their finances. Startups, as well as established firms, have entered the marketplace to serve these needs and local banks face the choice of embracing these technologies or potentially losing customers to institutions that offer more products and services through mobile and other non-traditional channels. Massachusetts is at the forefront of many of these fintech initiatives and local banks can benefit from close proximity to an active fintech community. However, institutions must navigate a changing regulatory environment, the challenges of integrating new technologies into legacy systems and managing the risk of these partnerships. This half-day program will discuss the current fintech environment and opportunities for banks to partner with firms to offer emerging technologies. In addition, attendees will hear regulators provide their views on fintech partnerships.